In terms of work ethics, Brazil is somewhat “a nation of workaholics,” according to experts. Here, the idea of spending less time working to produce more is “foreign to our values.” In Brazil, business owners are still faithful believers of the 8-hours-a-day system—and some sectors even want to add an extra working hour per day. With technology, companies have even more ways of keeping their workforce busy around the clock. With smartphones, company tablets, and laptops, employees are demanded to be available 24/7—just in case. But working long hours doesn’t mean that Brazilians are highly productive. In fact, Brazilian workers produce 25 percent as much as American workers, according to research organization Conference Board. The two top reasons for that are: (1) our workers are less educated and less qualified, and (2) they don’t have as much quality equipment at their disposal. 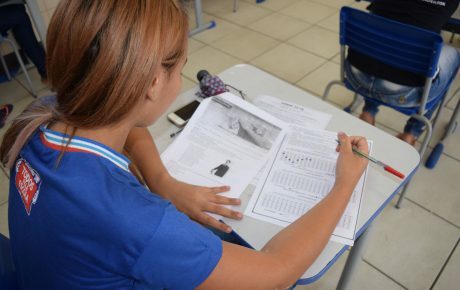 Brazilians complete, on average, seven years of education. While the average number of years is not even enough to graduate from high school, and it’s just half as many years as the average American studies, the reality is much worse and more unequal. 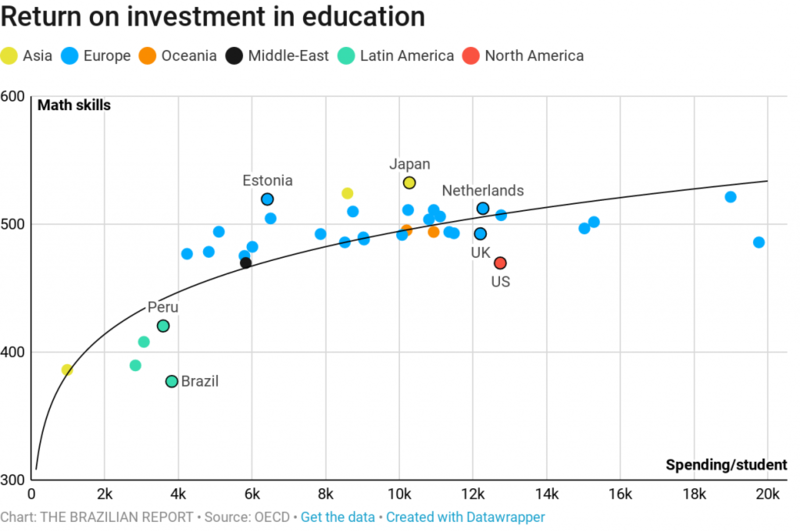 We have brought charts elaborated with data compiled by São Paulo’s Insper Business School showing the shortcomings of Brazil’s education system. 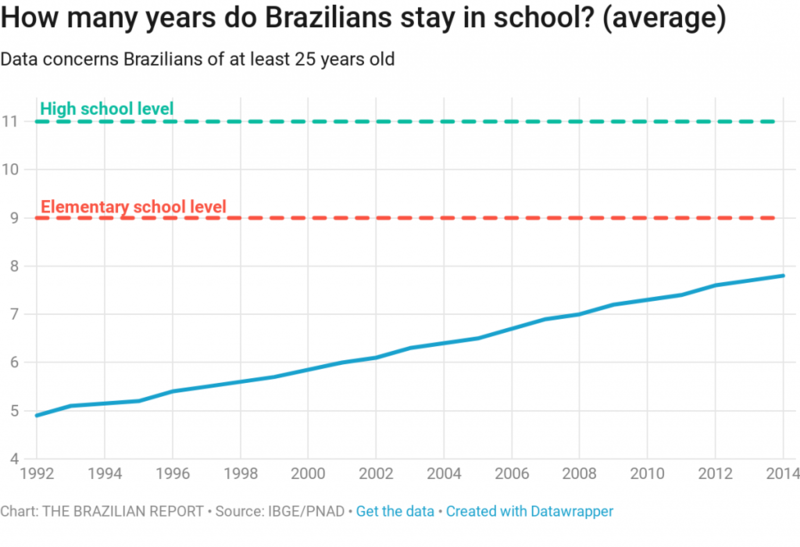 Brazilians are gradually staying in school for longer on average, but this increase is very slow indeed. The country is still below having an acceptable level of education, with adults over 25 not having enough years of schooling even to finish elementary school. 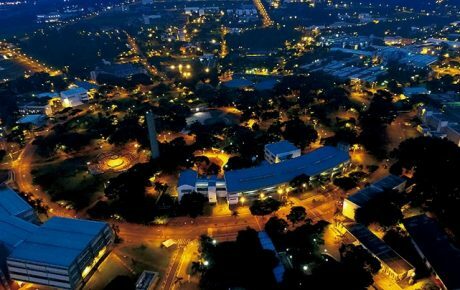 Every seven years, Brazil has managed to improve average education time by just one year. 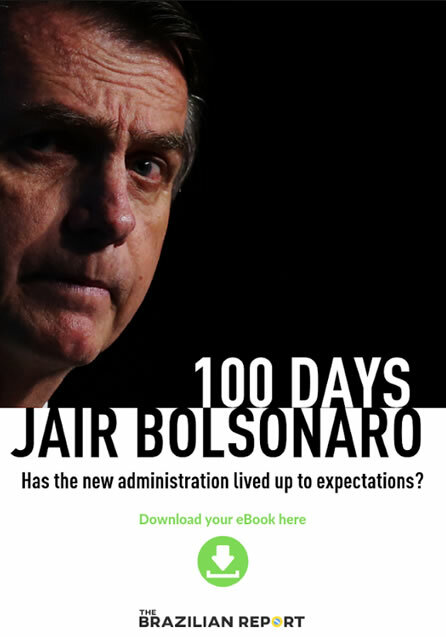 The progress Brazil has shown is still not enough to put Brazil at the same level of Chile, a Latin American country with higher human development levels. The chart below shows the average schooling time for people born in each year. Brazil’s 1988-born generation reached (by 2013) an average of 10.1 years in school. 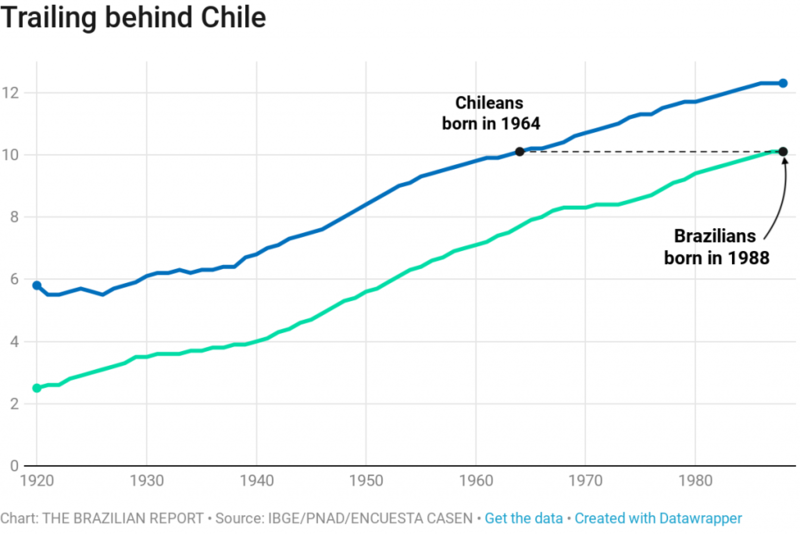 Chile had that level 24 years ago, reached by the generation born in 1964. The education of Brazilian youngsters is an entire generation behind Chile’s. 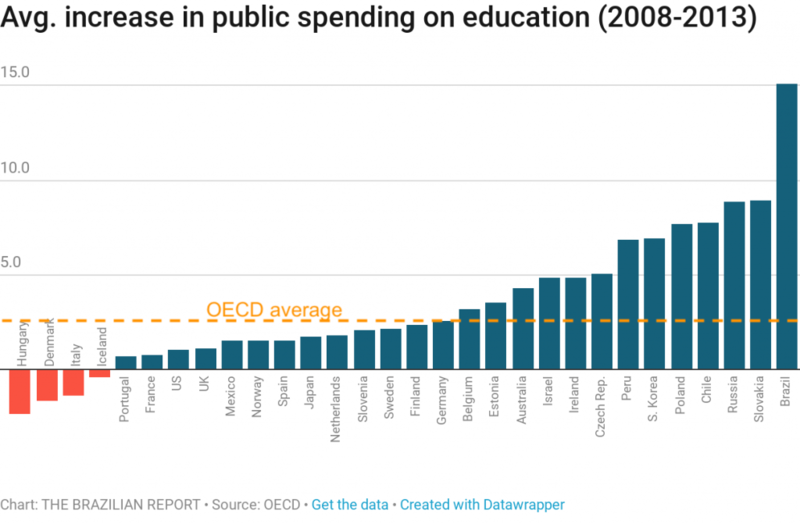 Brazil has managed to elevate public spending in education since the 1988 Constitution. In the period between 2005 and 2013, increases to the education budget were even larger. Up until the 2014 recession, Brazil did try to correct its spending to a level which was more adequate to its level of development. The rate of growth was over five times larger than the average of OECD countries—economies with high GDP per capita levels. 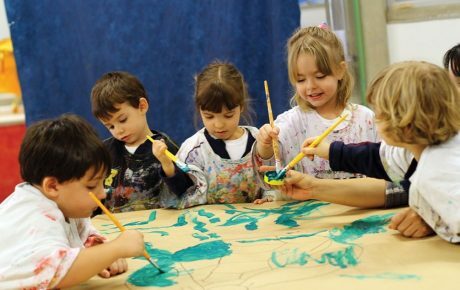 When comparing Brazil to other countries evaluated by PISA—OECD’s worldwide program to evaluate educational systems—we can see Brazil’s learning curve. The following chart relates performance in mathematics to spending per student. Brazil spends more than Mexico, Peru, and Colombia. However, Brazilian students perform worse in math tests than their Latin American counterparts (and they are also below the expected performance). The line shows which would be the expected performance for each level of spending. 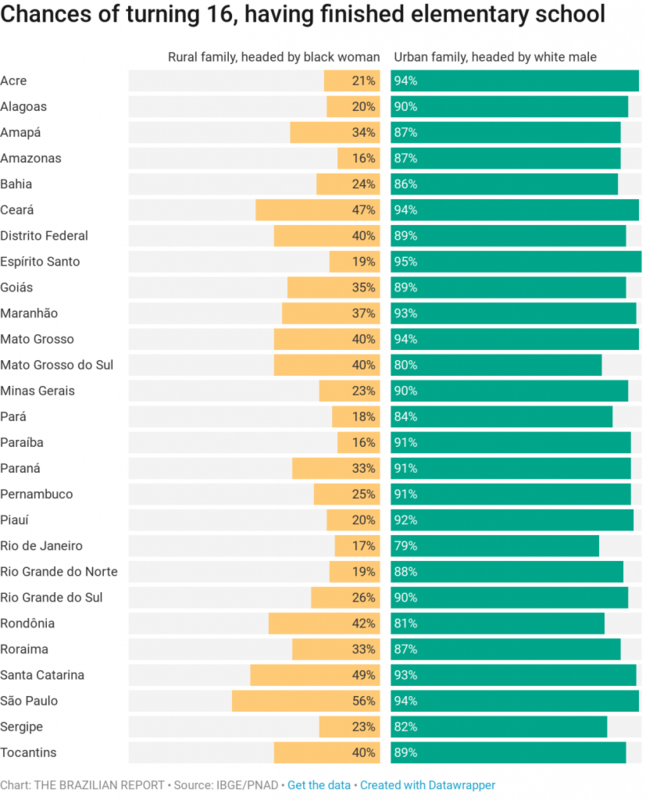 Data from IDEB—an index created by the Ministry of Education to evaluate Brazilian schools—shows that Brazilian states perform in a very uneven way. 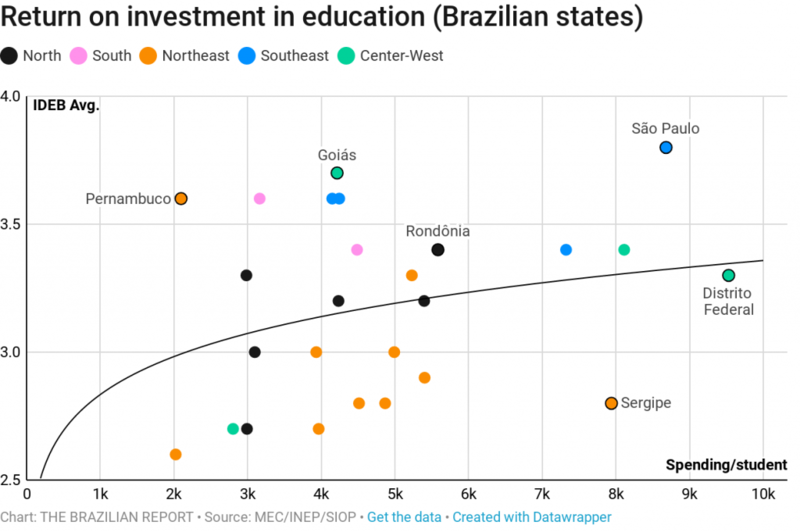 Some states that don’t spend that much per student, such as Pernambuco (about BRL 2,000), have a better performance when compared to others spending four times as much, such as Sergipe (almost BRL 8,000). The line shows the expected performance for each level of spending. Income, place of residence, ethnicity, and the education level of parents are directly linked to grade repetition and school evasion. The following chart shows how different chances are for more vulnerable populations in comparison with more privileged ones. 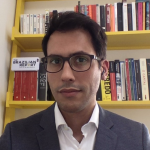 A São Paulo student living in an urban area and whose family is headed by a white male has twice as much probability of finishing elementary school than more vulnerable students. 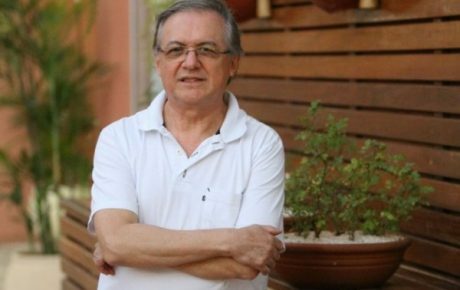 In Espírito Santo, the most uneven state, that difference is five times. Brazil has invested much more in education and has kept its teenagers and children in schools for longer. However, workers’ productivity has stalled over the past 40 years. Brazilian worker productivity was surpassed by Malaysia, Colombia, and South Korea. What can a school’s infrastructure tell us about the quality of its education?